THE 007 JAMES BOND-MOBILE featured recently made us look up the best known of all 007 cars, the Aston Martin DB5. SMN report: Back in the day, Airfix made cars to 1:24 scale, and the James Bond Special Agent 007 (header pic) was one of these. The kit itself was pretty good, even if the box art wasn't up to the standard of Roy Cross, who painted so many Airfix kit boxes. 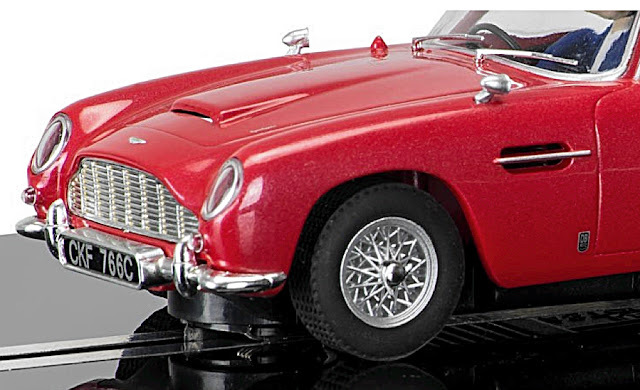 But the real DB5 standard-bearer is undoubtably the Corgi diecast (below) that right from the start came complete with many working 007 features. 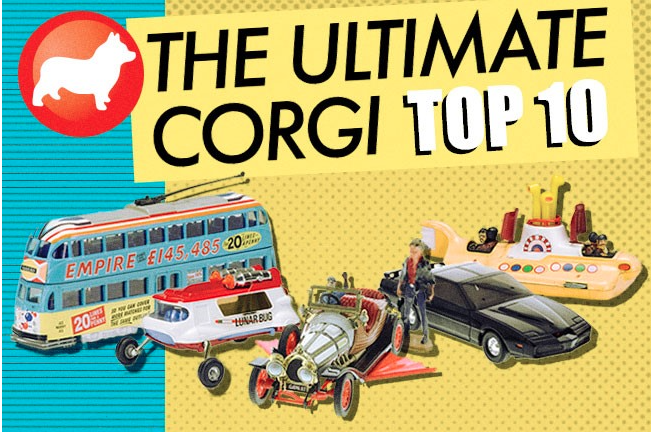 In fact, Corgi is presently running an online vote for the Ultimate Corgi Top 10. There's stiff competition out there, for the DB5 is up against such worthy Corgi Toys as the Beatles' Yellow Submarine, the Chitty Chitty Bang Bang flying car, Thunderbirds FAB-1 and others. Argh, the agony of choice! You've got until December 19 to get your vote in. There have been plenty of DB5 kits over the years. 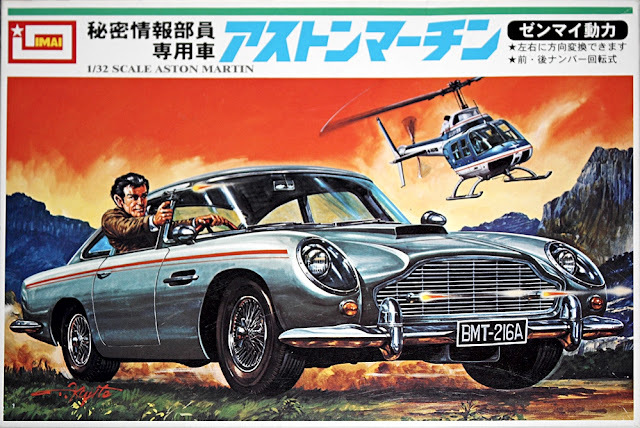 The 1:24 scale Doyusha kit (below) had all the Aston's special equipment included, even if the illustration of Bond on the box was not really recognisable. It's perhaps a shame they didn't simply put a photo in there. Still, Harold Sakata as Oddjob manages to look gruesomely threatening. 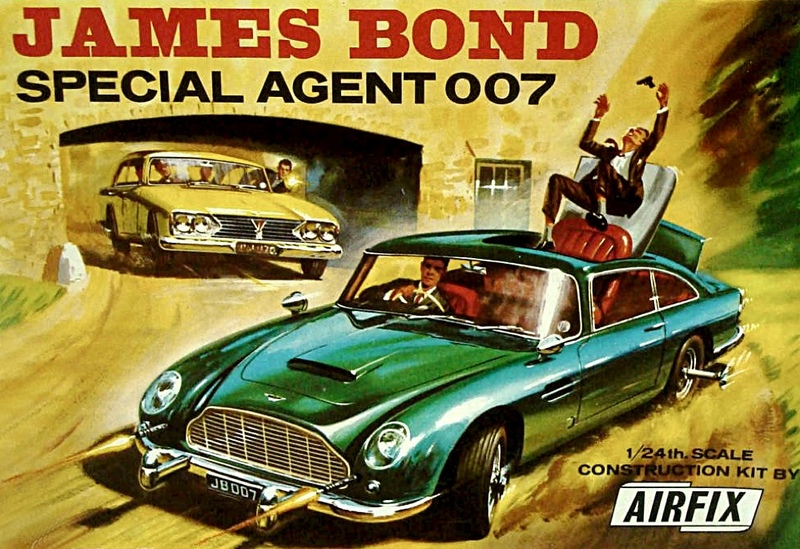 The Imai kit box (below) portrayed a massively oversized James Bond firing out of the window. The 1:32 scale kit itself was normally proportioned, with a decent level of detail. We don't know who thought of adding the red double-stripe to the DB5's flanks, though. Thanks to Watch Mojo, here's a look (below) at a bunch of James Bond cars, including - of course - the Aston Martin DB5, best of them all. If you like Scalextric, then there's a 1:32 scale Aston Martin DB5 on release (below). Fresh from the box, the DB5 is good enough to make an acceptable model. But with some extra detailing and careful weathering, it could look really impressive. 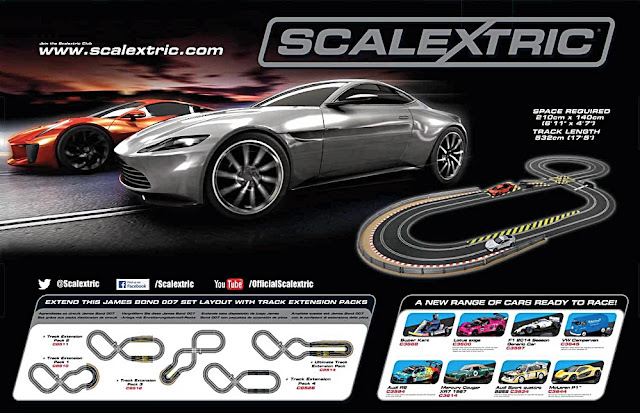 Scalextric also has an excellent ready-to-race set, based on cars from the 2015 James Bond movie Spectre. The set includes two British supercars, the Aston Martin DB10 and Jaguar C-X75. For Scalextric competitions, the box includes a figure-of-eight track, which includes leap ramps, side swipes, a 90 degree crossover, and a bordered 180 degree curve. Hmmm... sounds like a good choice for post-Christmas turkey entertainment. Afterword from Mat Irvine: “I wouldn't exactly say there had been 'plenty' of DB5 kits - really only two in 1:24/5, as the Craftmaster/MPC kit issue used the Airfix tooling, while in 1:32 scale, there is just the Imai. OK, there is one from Strombecker, but this is intended purely as a slot car - I picked up one of these recently! “Also, I wouldn't say the Imai has ‘plenty of detail.’ The exterior is basically OK, and does have chrome parts, but the interior is flattened as it includes a clockwork motor. Also on reflection, the box-art driver is only slightly out of proportion, and here I think it's the head more than anything, as the body is just about right. Overall, he's a bit like a Thunderbird puppet, the head being a bit too big for the body! “I think I might have also mentioned that the first Corgi DB5, in 1:46 scale, was wrongly coloured in gold, not silver. Corgi has made three models in three scales - four if you include the Corgi Junior, which was originally a Husky model. “The later, ever so slightly larger 1:43 scale version, and the newest 1:36 scale version were finished in the correct shade, called Silver Birch - somewhere, I have an actual Aston Martin colour swatch of this. “The exact reasoning behind the wrong gold colour? I don't think this has ever been clarified, especially as the diecast came out AFTER Goldfinger had been released (in fact, only two months before Thunderball) so the silver DB5 would have been seen in the film. Even the exhaustive book by Dave Worrall doesn't come up with a reason.